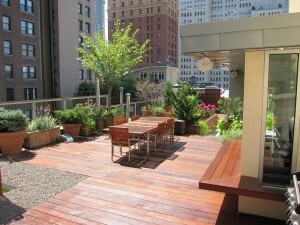 Deck Design is a main aspect of an urban garden design plan. 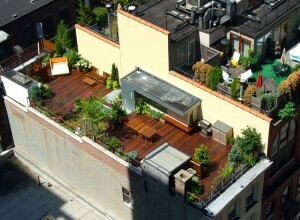 The deck is what grounds the space and connects all the pieces within the design. Think of it as the fabric of a canvas when painting a piece of art. 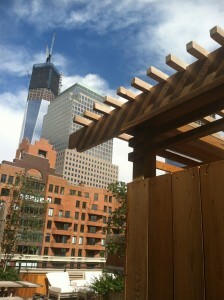 The decking material holds all the planters, furniture, water features and custom garden structures. We often use hardwood and ceramic tiles within the designs, but cement pavers and composite material are available as well. 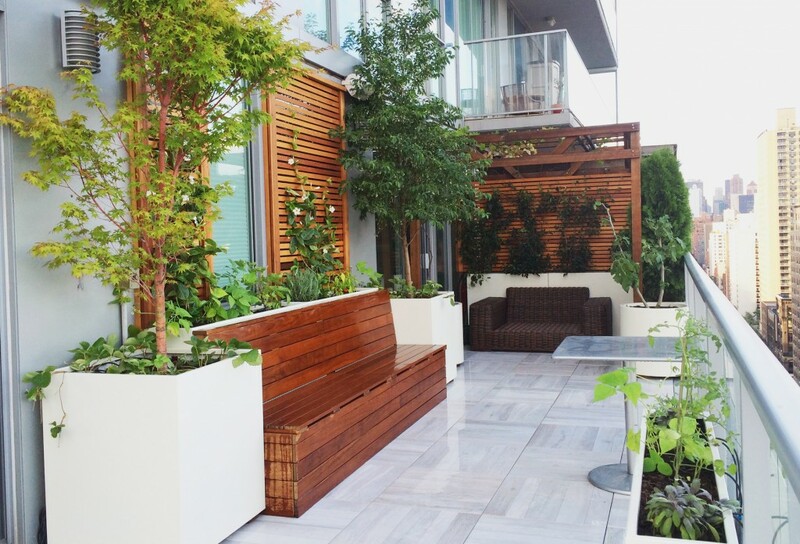 Here at All Decked Out, our landscape designers will help you decide what material is best for your space, aesthetically and structurally. Our master carpenters will execute the design with ease and integrity. 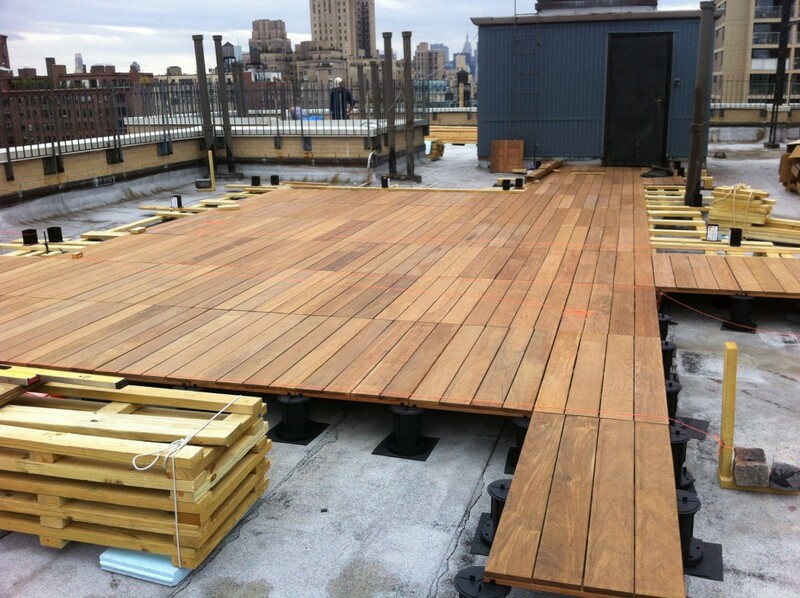 Your custom rooftop deck will be hand built by our team of professionals using the finest hardwoods such as sustainably harvested ipe. 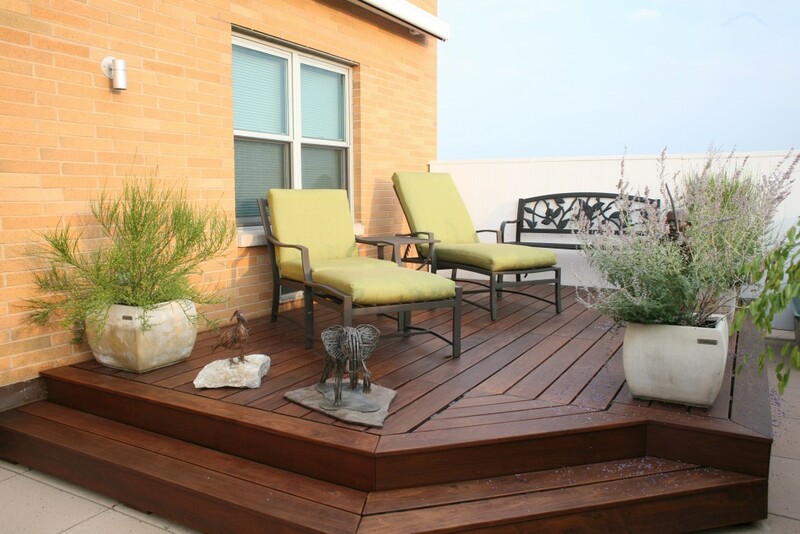 They will utilize a pedestal decking system that will allow your deck material to float over the roof membrane or existing flooring material without structural changes. These systems can be easily moved if roof repairs are needed, and reinstalled with ease. Typically, the flooring tiles are 2×2′ or 2×4′. Both sizes are easy to move and handle. Our carpenters will further transform your space by building custom pieces to camouflage your air-conditioning units, roofing pipes, vents and other mechanical eyesores. The designs of these custom pieces will be incorporated into your design and will be made of cedar or ipe wood. 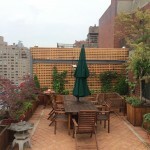 The final structural additions to your design will be to add arbors and trellises. These elements frame and highlight certain areas of the design. 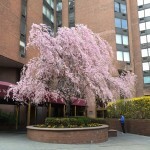 You may also want to incorporate them when shade and/or privacy are desired. An arbor will frame the perfect area in your garden to add an outdoor dining space or a shady lounging area for those warm summer days. Trellises can create walls of foliage giving your smaller space the illusion of added square footage. 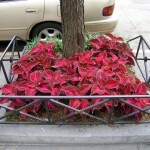 They can cover ugly walls and be attached to planters creating a border for your space. Adding these structural elements will create dimension and visual interest within the design. 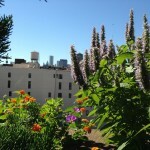 Many people think about the plants and soil when it comes to gardening, but there are many more elements to a cohesive design. The team here at All Decked Out will help you incorporate the perfect design into your lifestyle. 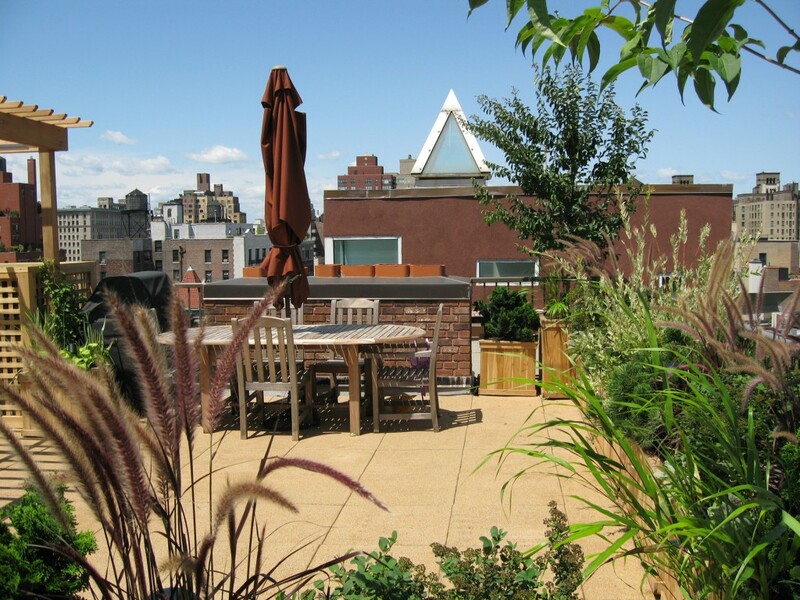 Whether you’re the socialite on your block entertaining every weekend, or you like to enjoy your garden in solitude, we will design the perfect rooftop oasis according to your needs and desires. Each pedestal utilizes a patented threaded design, so the paving surface can be leveled precisely, and can be removed and reinstalled in case of roof repair. Integrated spacer tabs ensure accurate spacing, lock the pavers in place and allow water to drain. Immediate drainage eliminates the age-old design requirement to slope the finished deck surface. 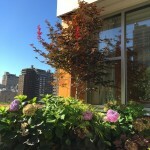 The traditional method of supporting a deck or paving is useful in instances where the paving level is high above the surface below, or when there are obstructions that need to be spanned. This system can support deck boards of any length, eliminating seams between tiles. A beam-and-joist system creates a solid frame, which can be used to attach posts for fences or railings. Read More Here…. Sometimes called “ironwood”, ipê is incredibly dense, durable and beautiful. It gives visual warmth, excellent resistance to weather and architectural charm. Ipê was used in the construction of the Atlantic City Boardwalk shortly after the American Civil War. Even with harsh conditions, heavy foot traffic and seawater, most of the ipê wood is still there. 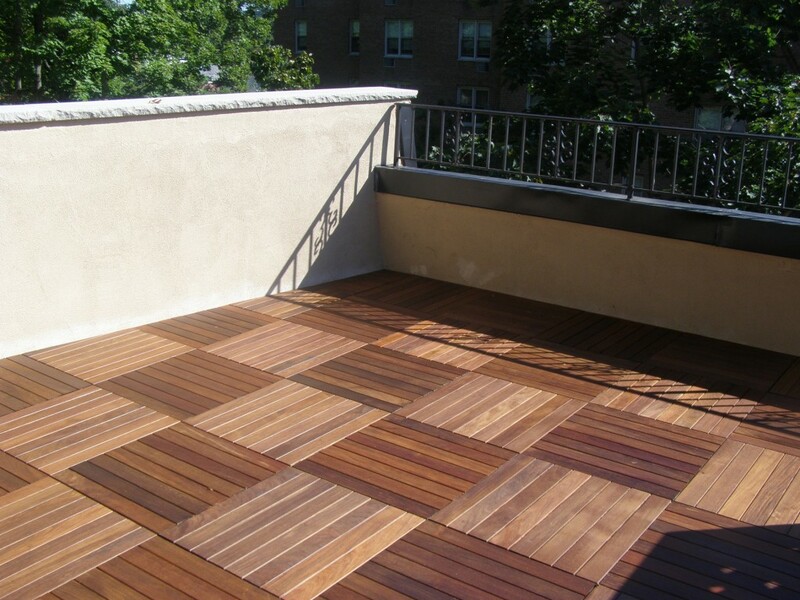 Ipe wood deck tiles are extremely durable. These deck tiles can be laid in a parquet pattern or mixed with other paving stones for a unique look. Deck tiles are ideal for both safety and convenience. They can easily be removed for access to the roof below. Deck tiles come in two standard sizes. 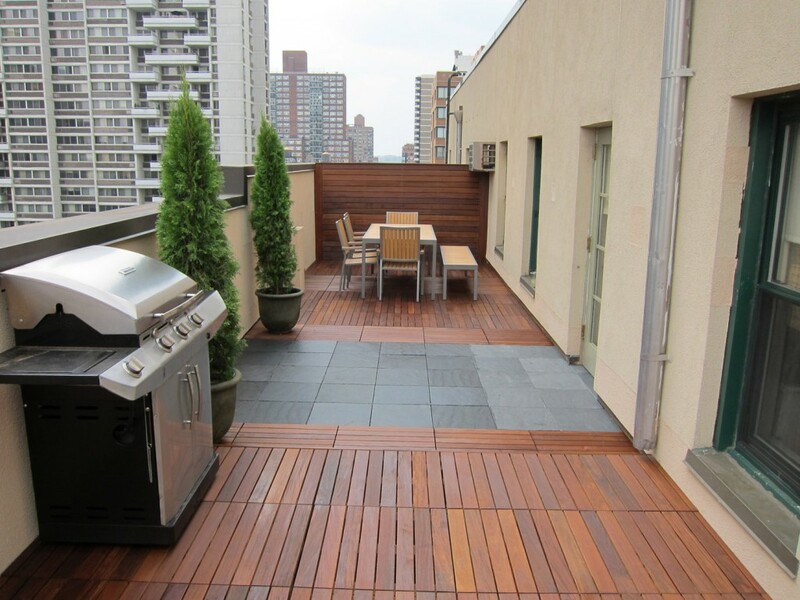 A bluestone deck is a more expensive material than ipe. The good thing about bluestone is that it is available in different finishes. This is one of the reasons why many contractors and property owners prefer this material. 1. Thermal finish. Thermal treated bluestone paver is commonly used in driveways, walkways, decks, and patios because the paver surface becomes non-slip. This is done by heat-treating the paver units until a textured groove is achieved. 2. Matt / Rough finish. This stone is recommended for outdoor applications where a thin and smooth paver is required. 3. Natural Cut finish. This is perfect for areas that require a more natural look since bluestones with natural cleft finish does not have uniform texture. Bluestone pavers are not just used as flooring materials but can also be tapped to create pleasing veneers, wall caps, building stones, treads, steps, and others. It is this versatility that makes bluestone a paving solution in many public spaces, commercial and residential gardens. Read More Here…. Recent materials innovations have given us porcelain tile pavers that can span between pedestals or joists. 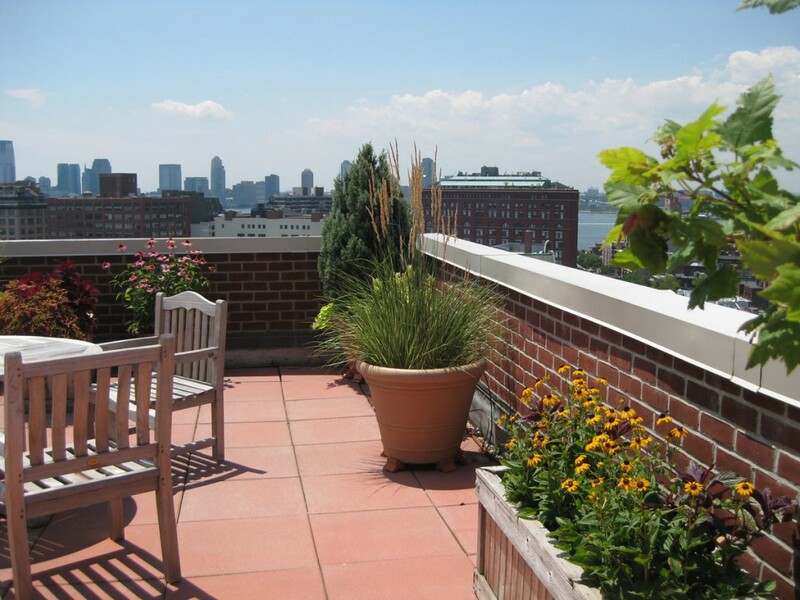 Porcelain tiles are far lighter than concrete pavers, but heavy enough that they can be used on rooftops. Porcelain is a great option in instances where fire code precludes use of wood. They are available in a wide array of colors and finishes. Read More Here…. 2. Lighter weight and more affordable option, just 2 inches thick. 3. The tiles sit on the roof surface and follow the slope of the roof. This is useful when leveled paving or decking raises the surface, causing railing heights to become too low. These slim tiles are useful where there are differences in grade between paved areas, door sills etc. Precast concrete pavers are non-combustible and durable. Where weight is not an issue they are an affordable, fireproof paving choice that feels solid and substantial. They may be set on pedestals to make a level surface, or can follow the slope of the roof set on simple rubber roof protection. Read More Here…. Some situations call for a combination of support systems. 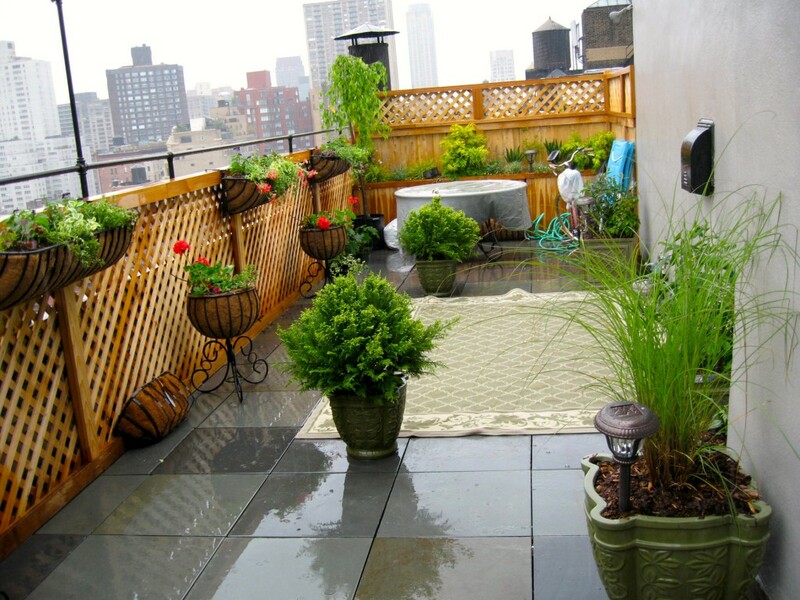 In many cases, modular paving on pedestals is desired, but fences and railings need to be attached to a solid frame. Wood joists can be used to support the deck or paving, with adjustable pedestals supporting the frame. A beam-and-joist system creates a solid frame, which can be used to attach posts for fences or railings. The traditional method of supporting a deck or paving is useful in instances where the paving level is high above the surface below, or when there are obstructions that need to be spanned. This system can support deck boards of any length, eliminating seams between tiles. Read More Here….